Browser Trends August 2016: How Do Chrome’s Rivals Stack Up? For the past year, it’s been much the same story: Chrome grows at the same rate Internet Explorer falls. The proportion of Firefox, Safari and Opera users has remained fairly static. No other browser has managed to make an impact on the market. It’s evident that users like Chrome — but are there alternatives you should consider? Firefox and Safari are the obvious options, but don’t discount other competitors. Few users were pleased when Opera dropped Presto, adopted Chromium’s Blink engine and released Opera 15 in May 2013. Its numerous features were radically stripped back to become Chrome-lite. a new video pop-out feature, which allows you to move videos out of the browser to your desktop while you do other work (in Opera 38 with further enhancements in v39). 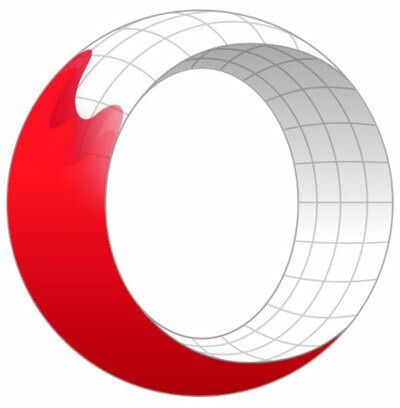 Opera’s browser business has been sold to a Chinese consortium led by Qihoo 360 for $600 million. The deal is yet to be approved by regulators, and there’s unlikely to be any immediate changes, but the browser’s future direction is less certain. it integrates well with Windows, including Cortana’s speech-based assistant and the Start menu. The downsides? Edge is only available in Windows 10 and some developer tools are a little less polished than others. I use Edge frequently and it’s become my default PDF viewer! Try it. We’ve discussed Vivaldi several times. In summary, Vivaldi also uses the Blink engine and offers a highly-customizable browsing experience which is ideal for power users. It’s probably what Opera 15 should have been. Vivaldi is growing steadily with a 0.02% market share — or one in every 5,000 web users. The browser will shortly offer a built-in news reader and email client. Desktop vs mobile has been swinging wildly and, following June’s 2% drop, mobile usage jumped 3.3% and now accounts for 47.19% of all web activity. If that happens again, mobile will overtake desktop in September 2016. The largest increase was for Opera Mobile (Android) and the old feature-phone edition of Opera Mini (although you can also get it on Android and iOS). I doubt there’s any significant reason — unless billions of Chinese suddenly discovered a good reason to switch? If you’d like to get to know Craig a little better, and learn some of the background to this Browser Trends series, listen to the interview with Craig on SitePoint’s Versioning Show podcast.